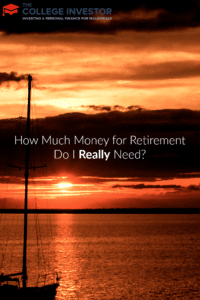 Home » How Much Money for Retirement Do I Really Need? 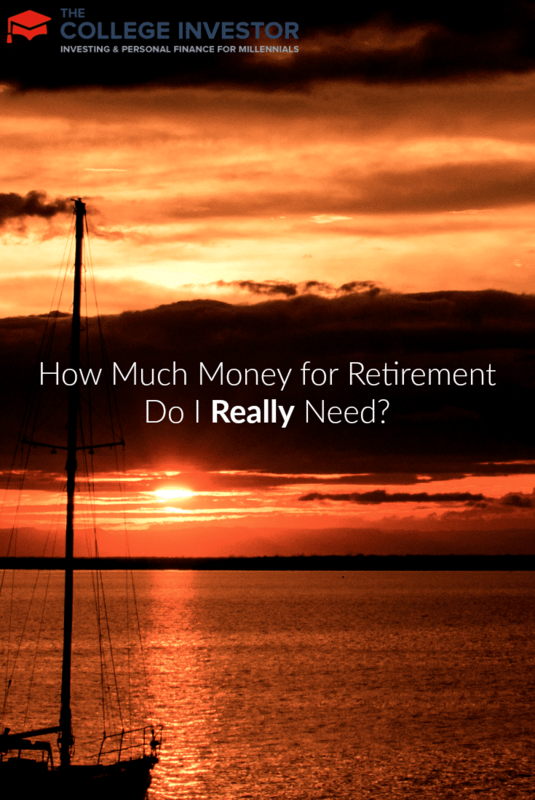 Many people wonder just how much money they actually need to retire. In fact, it’s actually one of the most common questions people ask in regards to retirement. However, it may not be the easiest question to answer, as there are so many variables. On top of that, not all of the variables are always known. You can get an idea of how much money you need to retire, though, by considering the following questions. In figuring out what amount of money you need for your retirement, you certainly want to consider how much your current expenses are. To figure out just how much you’re spending, take a look at your bank and credit card statements over the past three months or so. You also may want to take note of how much you are spending in cash, if you use cash often. You can keep track of your cash spending by either saving your receipts or writing it down every time you use cash to pay for something. It’s never too late to start thinking about your own retirement, you can visit the Suncorp superannuation page to start planning your own. Which of Your Debts Will Be Paid Off? It is ideal to retire without any debt, but many times, people still have some once they retire. Keep in mind which of your debts will be paid off before your retirement, such as credit cards, a mortgage, consumer loans, and student loans. Car loans might be a bit trickier, however, as you may decide to take out new car loans during retirement (or you’ll just need one, whether you want one or not). What Will Your Housing Expenses Be? Your housing expenses may change greatly by the time you are ready for retirement. For example, you may have your mortgage paid off before you retire, or you may decide to downsize to a smaller home for retirement. You also might consider a reverse mortgage for your home or moving to a place with a lower cost of living. Some people in retirement even decide to rent out a spare bedroom in their home for extra income. Which Insurance Policies Can Be Dropped? Oftentimes, you will be able to drop insurance policies once you’ve retired, including disability insurance, as they won’t be necessary anymore. You may also want to consider if you want to keep or drop your life insurance plan, or if you want to revise your life insurance policy. Remember, for most people, life insurance was needed while raising a family. Now that you’re retired, your children are most likely self-sufficient adults. Will You Spend More or Less Money Traveling? Consider how much you plan on traveling during your retirement, as many people spend a great amount of their retirement leisurely traveling, or even enjoying a semi-permanent vacation overseas by staying in a favorite spot for some time. It is also important to keep in mind gas and other expenses associated with car travel. For example, you won’t need to drive to and from work anymore, so your gas expenses may be a bit lower. Although these are some of the most important things to consider when determining how much money you need for your retirement, they aren’t the only ones. So, keep in mind what other financial changes you may have before or while you retire and what amount you will need to prepare for them to determine how much you should have saved upon retiring. Anything we’re missing when it comes to budgeting for retirement? I have a fairly solid grasp on what I need to save for retirement, but I need to plan better as to how I’m going to get there. I think this is a great list, but as Bryce said, health care is a big part to consider. Where inflation has been 2% in the US the last few years, health care costs have risen on average 6% and with people living on average 10 years longer and a growing need for long term care, it is an expensive but big unknown for future retirees. Great post. We want to reach financial independence and have enough to retire early. However, even though we want to reach that point in our 30s, we would still continue working. We need to think about our future children, traveling, and other things that may come up. Nice list. I would also add the cost of health care to the list. People used to get this covered with the retirement plans from their employers. The only ones who do now are typically government retirees, and even that is changing. I have my needs more than covered by fixed income and my investments will satisfy my wants and then some.